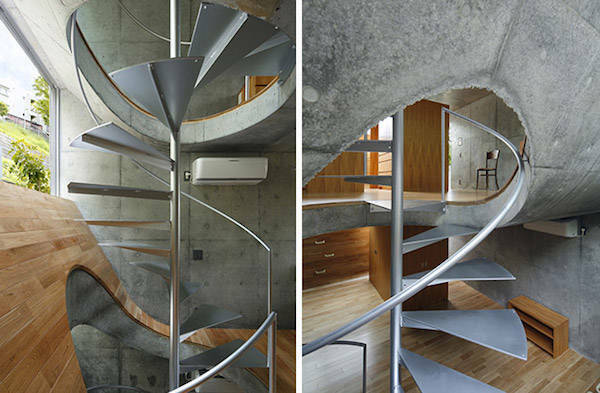 This House In Japan Looks Somewhat Normal From The Outside Until You See The Epic Interior Design Inside | Deveoh! Here's a couple shots of the custom designed stairways in the house. Have you ever seen stairs like this before?